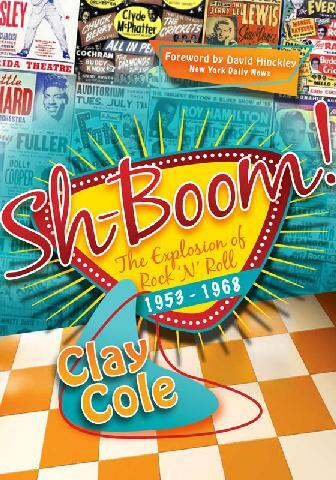 “PIED PIPER OF WOODSTOCK” AND “SH-BOOM”, TWO NEW BOOKS THAT ROCK! I’m very fortunate to have reconnected with my old friend Songwriter and producer, Artie Kornfeld (“The Pied Piper”, “The Rain, The Park And Other Things”) on FACEBOOK during the last few months. I was able to share his joy in the celebration of the 40th anniversary of the most important cultural event of our generation, which he co – created…Woodstock 1969. 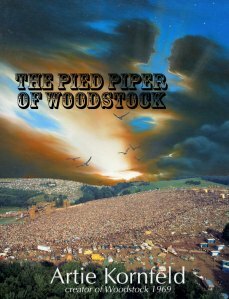 Everybody’s talking about Artie’s new book, “The Pied Piper Of Woodstock” with fascinating anecdotes about the festival. He also talks about writing songs like “Dead Man’s Curve” for Jan and Dean and “Tonight You’re Gonna” Fall In Love With Me” for the Shirrells. The only time I met Disc Jockey Clay Cole face to face was in 1963 during the Kennedy Assassination, when Joey Powers, sang my first hit as a writer and producer, “(Meet Me At) Midnight Mary”, on Clay’s WPIX – TV Show. When I reconnected with him on FACEBOOK, I wasn’t surprised that we had a lot of mutual friends. His new book is filled with Rock and Roll Memories we all wish we could’ve been part of!